← …Just Plain Ol’ Good Fun! Well, all good things must come to an end! 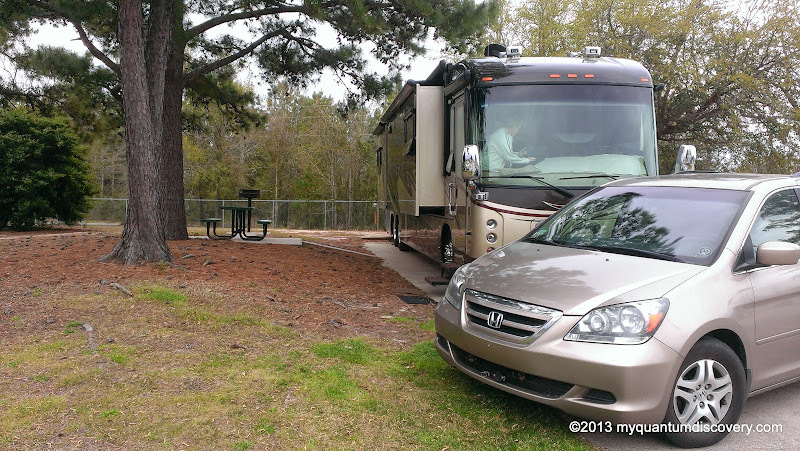 And our stay at Gulf State Park finally did on the morning of March 26th. 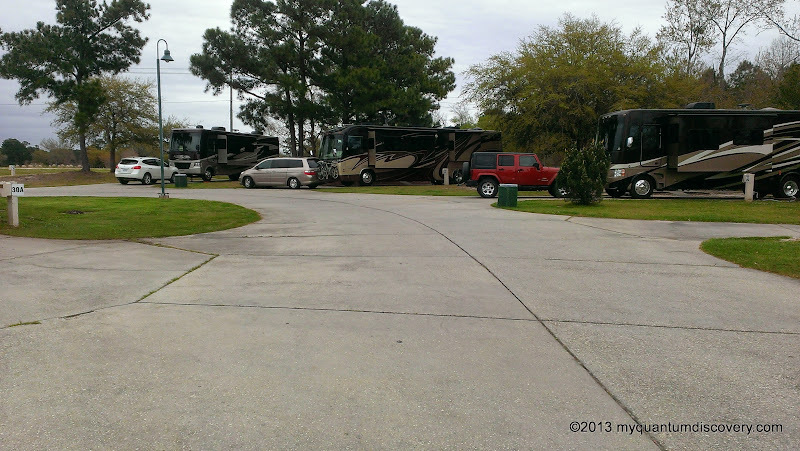 It was time for us to head out to our next destination, Hollywood Casino RV Park in Bay St. Louis, Mississippi. We’re not big gamblers, in fact we don’t gamble at all except on the very rare occasions when we’ve thrown a few nickels into the slots, but Bay St. Louis was a good stop off place on our journey to New Orleans where we were headed to visit with some good friends. 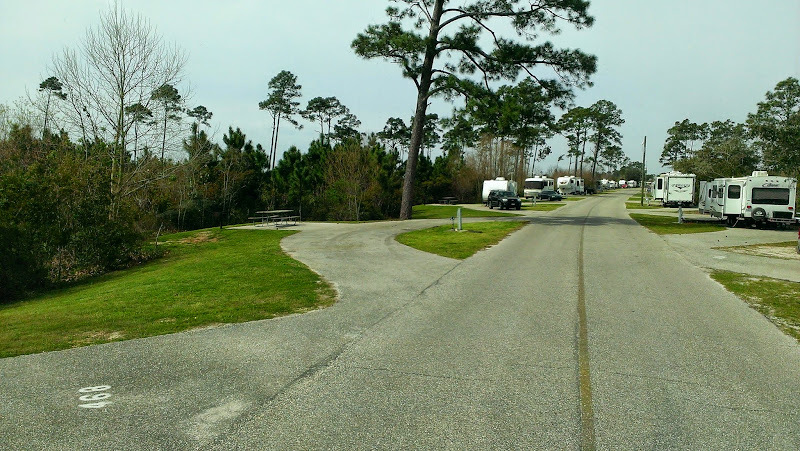 Located about 2-1/2 hours from Gulf State Park, we headed out of the campground, taking a left onto State Park Road 2, then another right onto Perdido Beach Boulevard and another right onto AL-59 where we promptly ran into stop and go traffic. It seems like traffic always gets congested in this area but then again it was spring break! We actually know a better way to get past this congestion, by going the other way on State Park Road 2 to AL-180 and E 2oth Ave. that dumps you out right at the southern end of the no-toll AL-59 bridge, but Rob was concerned about some low hanging branches along the way. After we made it over the AL-59 bridge (which crosses the Gulf Coast ICW), Rob turned east and headed for the Foley Beach Expressway to avoid the stop and go congestion in this popular retail section of AL-59. Note that the Foley Beach Expressway parallels AL-59 to the east, starts just south of AL-28 and goes all the way to Orange Beach. In many cases this will be the quickest route, but there is an expensive toll on the separate Expressway bridge across the ICW. 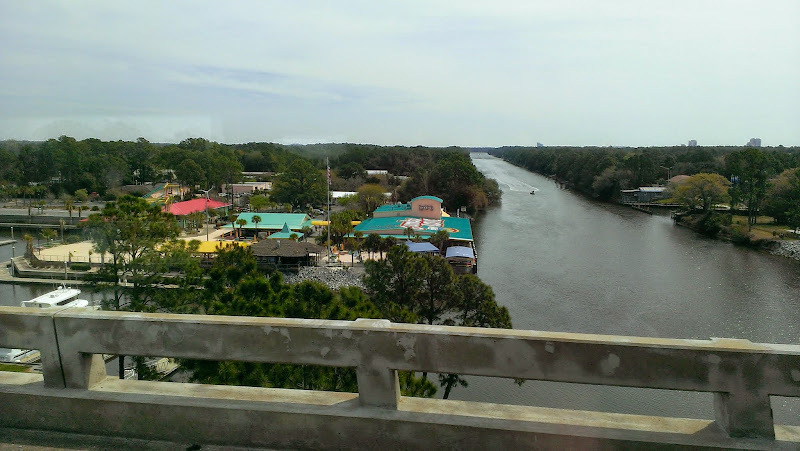 We picked up the expressway just a couple of miles north of the toll bridge and happily cruised right around the heaviest of the retail then joined AL-59 again where the expressway ends. We followed AL-59N until Loxley where we picked up I-10W heading towards Mobile. 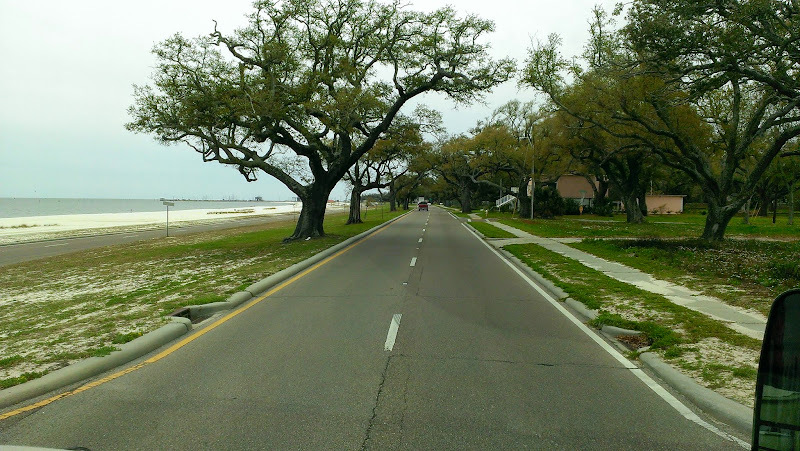 We took exit 34A to US-49S, then in Gulfport, MS we headed west on US-90 eventually making our way to Hollywood Boulevard in Bay St. Louis (pronounced “lewis”, not “louie”). It was an uneventful drive except for a little more congestion going through the Mobile area on I-10. 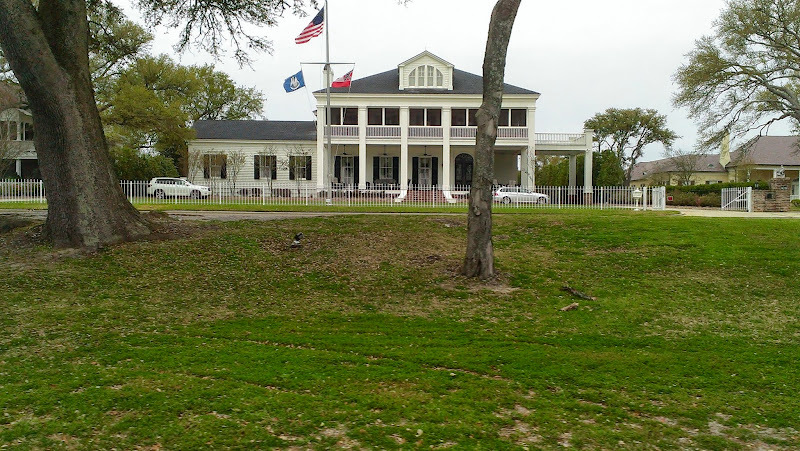 But once we were past Mobile and back down on the coast, it was an easy, very pretty drive – ocean and beach and fleets of shrimp boats at the local marinas on the water side and large, elegant homes on the opposite side. The last time we were in this area in 2010, we could see signs of the devastation from Hurricane Katrina in 2005. Even today, there are many cement slabs and stilts where homes once stood, apparently the owners were unwilling, or unable, to rebuild. As we made our way closer to Bay St. Louis, there were numerous advertising signs for casinos in the area. Not sure exactly how many there were but there were at least five between Gulfport and Bay St. Louis. Gambling must be a favorite past time for the locals and a destination for the tourists. 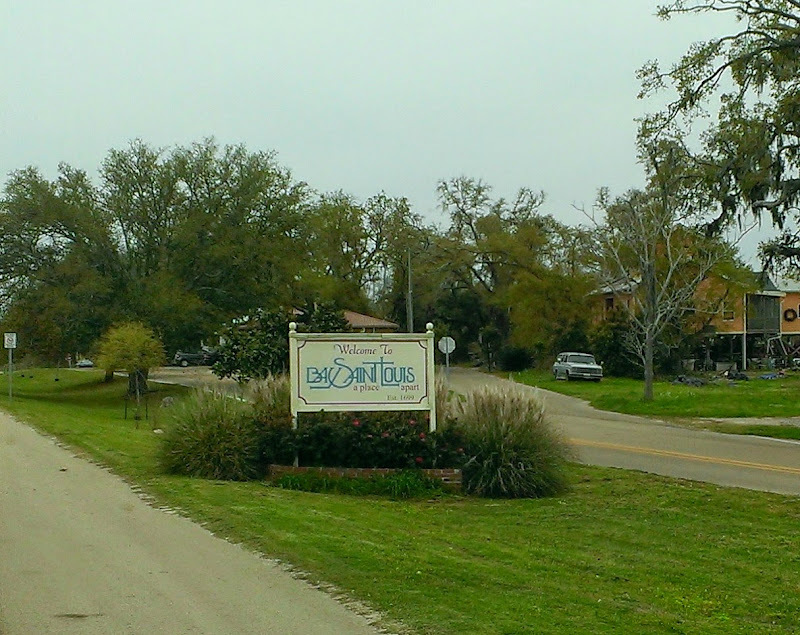 Finally we arrived in Bay st. Louis and made our way to the Hollywood Casino around 2:30 pm. Checking in was slow, taking at least 1/2 hour. As we parked the beast, we noticed a man was standing outside the registration office talking on a phone. Hmmm, what’s going on? He explained the door to the office was locked – according to a note on the door, the person manning the office was on lunch break so anyone wanting to register was to call the hotel. We called and were given a site number but Rob didn’t like the site. Fortunately, a few minutes later a staff member arrived and we were able to check in and choose a better site. The Hollywood Casino RV Park has 100 sites (both back in and pull thru) with full hookups (30/50 amp, water, sewer), a clubhouse, a pool, free wi-fi, laundry facilities, on-site shuttle service to the casino and 24 hour security. Each site has a cement pad and a picnic table. Some sites were fairly close together but others had better separation and a bit more privacy. Our rate was $30 per night. Our particular site had some overhanging trees but we lucked out and still had good line of sight to all three DISH Network western arc satellites. The campground was quiet and peaceful as we had hoped as it’s not really a “family” destination. Our evening turned out to be very “full” – we’ll tell you all about that in our next post!